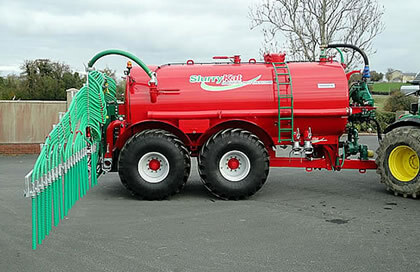 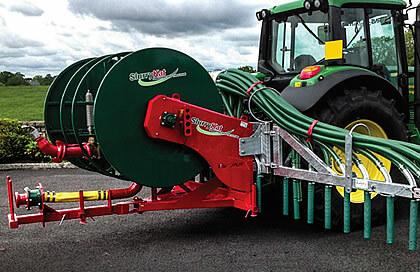 At Slurrykat we aim to please our customers, so we offer both machines. 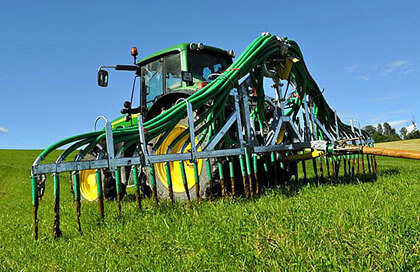 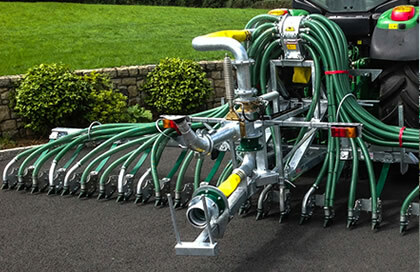 Both work well at achieving their main objectives of reducing pollution, nitrogen losses and plant leaf contamination. 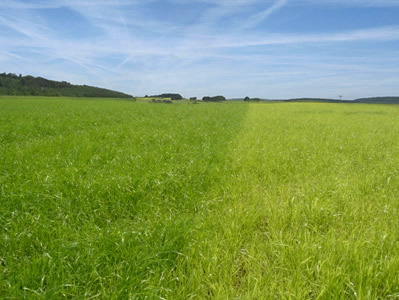 The grass on the right received an application of compound artificial fertiliser whereas on the left slurry was applied using the SlurryKat dribble bar system precisely at the same nitrogen application rate as the compund fertiliser. 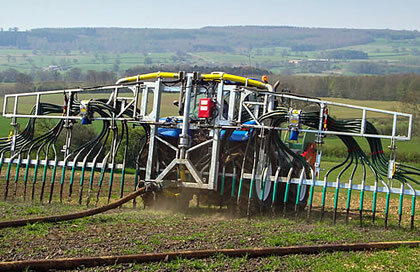 Both applications were carried out at the same time and the picture taken eighteen days later. 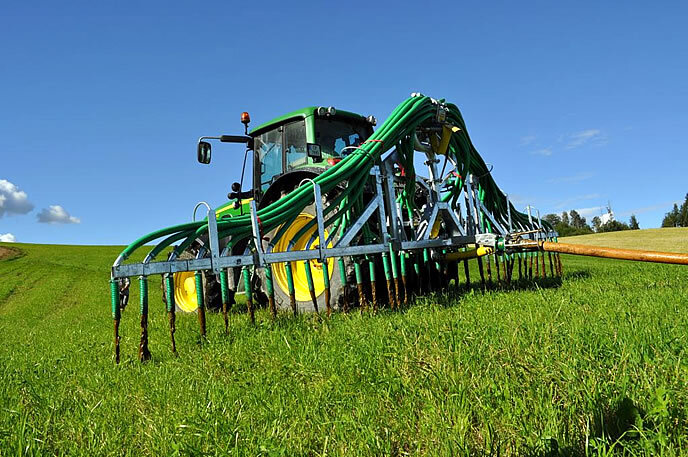 The results from applying the slurry with a SlurryKat system not only demonstrates that nutrient uptake is dramatically increased and sward thickness is also visibly improved. 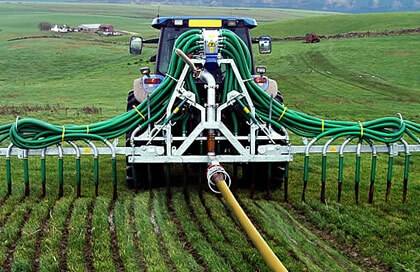 This trial clearly shows that slurry applied efficiently with the SlurryKat Dribble Bar system pays dividends in crop development and growth. 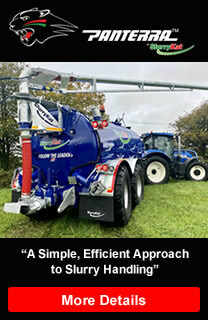 This also demonstrates the effectiveness of our spreading technology systems enabling growers to produce an entire crop without the need for compound fertiliser.